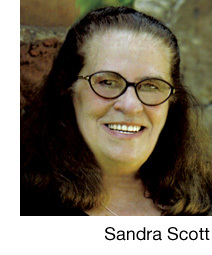 Sandra Scott, a retired history teacher and the co-author of two local history books, has been traveling worldwide since the 1980s and sharing her experiences through her writings. She will travel by any means: plane, boat, camel, oxcart, jitney, tuk-tuk, bus, train, and car. She has visited over 100 countries staying in native huts, tree houses, B&Bs and posh hotels. Currently she travels seven months a year, half of which is international.